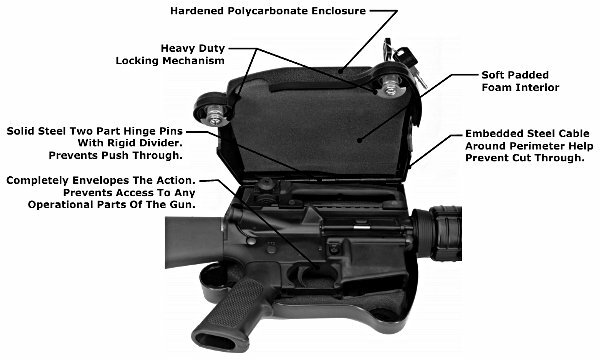 Dual locks on the Life Jacket 4 provide added security to your AR15 or M16 rifle. Constructed of high-strength polycarbonate, the LJ4 is virtually impenetrable. It also features a steel-reinforced perimeter and soft foam-padded interior. IMPORTANT NOTE: AR15 & M16 rifles are not approved for sale in California, therefore the LJ4 is not listed in California.